Looking for a fun new way to teach your child important early learning skills? 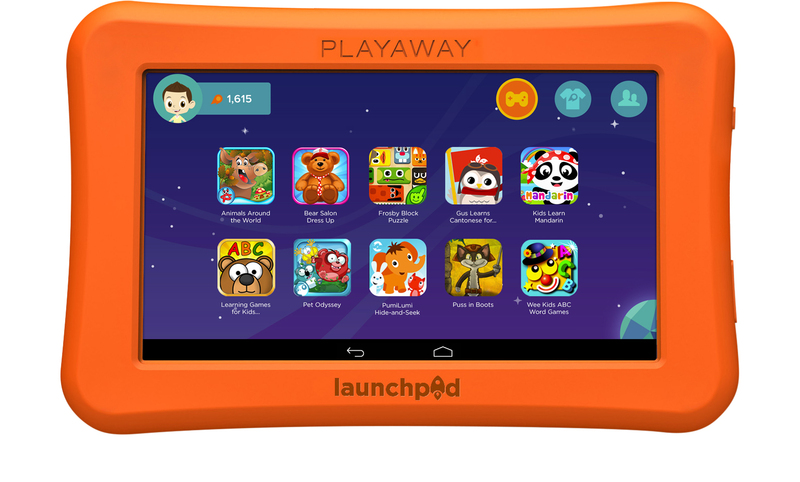 Try a Playaway Launchpad tablet at your local KCLS library! Teaches math with apps like Mouse Math: Mice on Ice. Teaches STEAM-focused thinking with apps like BioMio: My First Biology App. Teaches English language skills with apps like Alphabet Coloring. LP heroshot_apps by Playaway A screenshot of the Playaway Launchpad. You can check out the Launchpads with a pair of headphones and use them while in the library. Snuggle up in the children's area and talk to your child about what they are playing. Or use technology together while you're using one of our public computers. Ask at your library's information desk! Questions about screen time and young children? Ask your children's librarian, or start with information from the American Academy of Pediatrics.